I went looking around in my garage the other day and found a great piece to work on. 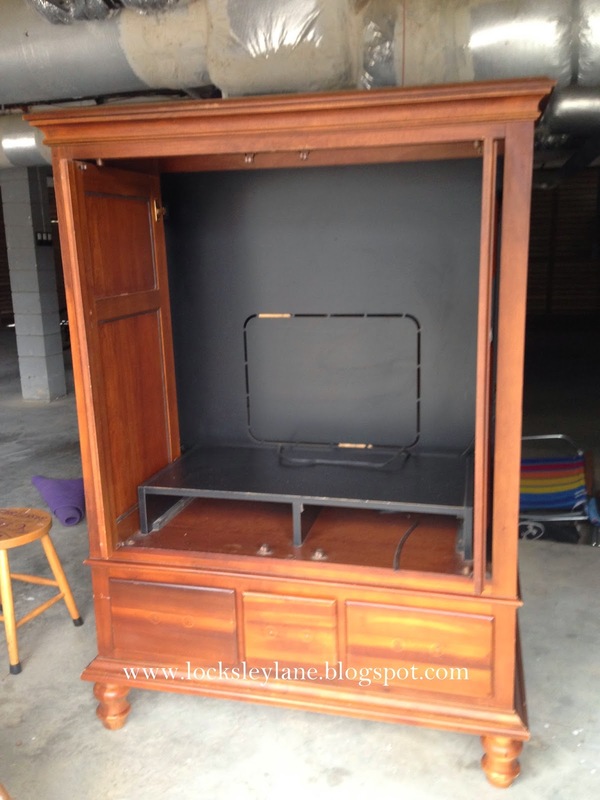 This is an old TV hutch that we had in our previous home. I loved it's size, the warmth of the wood and it's utility... then. The problem is that she was used to hide the TV, when the TV was big and bulky. Now with the streamlined flat screens, her purpose needs to change. I'm thinking that she could turn into a beautiful armoire with a few shelves built onto the stand already in place. She has three working drawers too. What do you think? 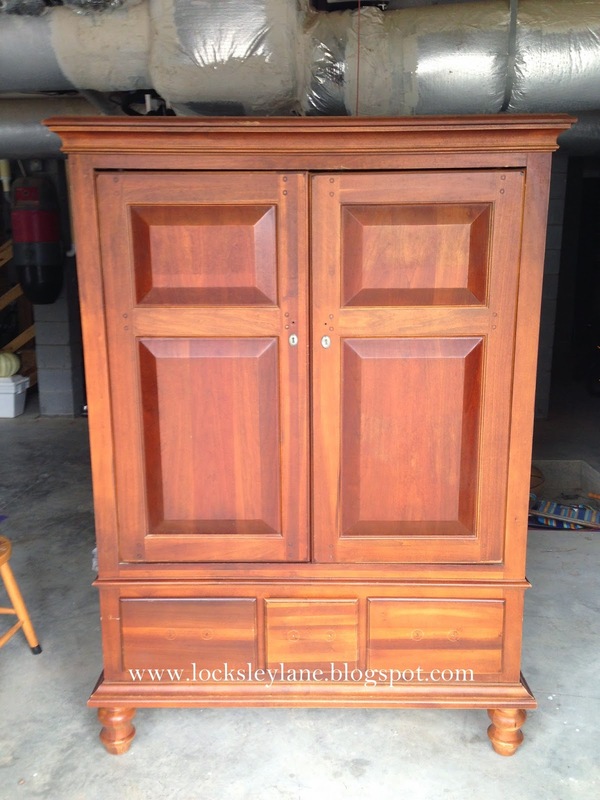 The wood stain on this isn't bad...and with the right home, she may not need to be painted. But, we live at the beach and I'm thinking either a soft cream or maybe a driftwood grey with cream undertones. I'm waiting for some better painting weather but she is next on the list! What do you have that you can transform?